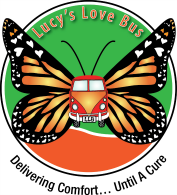 Who is eligible to receive funds from Lucy's Love Bus through the Lucy's Children™ program? Through our Lucy's Children™ program, anyone in New England who was diagnosed with cancer before the age of 21 years is eligible for funding for integrative therapies from Lucy's Love Bus. 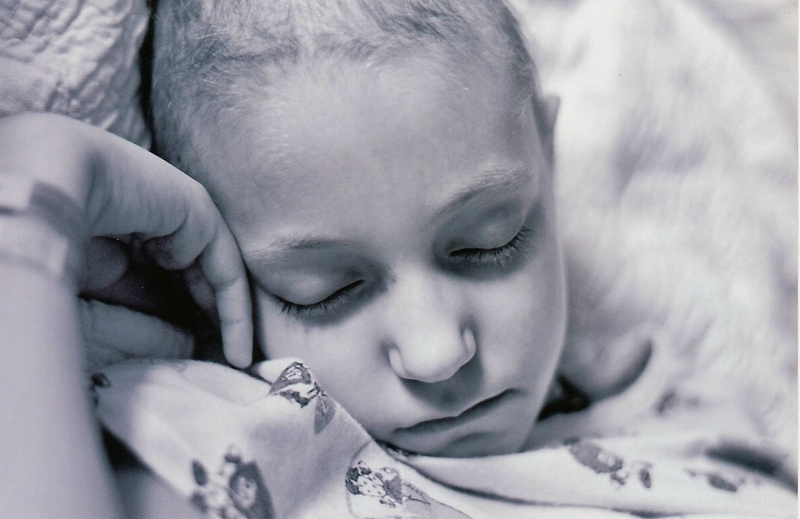 Our funds are available for those currently undergoing treatment or suffering from the late effects of cancer treatment. We will award funding as available. We invite families of children living in or receiving treatment in New England (MA, NH, VT, ME, RI, or CT) to apply today; we will be in touch to let you know the availability of funding, and we are always here for support and questions! Who is eligible to participate in programs at The Sajni Center in Amesbury, MA? Programs at The Sajni Center are open to anyone diagnosed with a life-threatening illness or chronic health condition that is not developmental in nature prior to their 21st birthday, and that person's siblings and legal guardians. The sick child/child who has experienced the illness does not need to be present for his/her siblings and/or parents to attend programs. Families can apply for the code to register for programs at lucyslovebus.org/sajnicode. The fee for programs is $5/person; scholarships are available for those who would like to join but may find the cost prohibitive. Please click here for a full page of FAQs about The Sajni Center programs. What sorts of integrative therapies are available for my child? The following is a list of integrative therapies that Lucy's Love Bus can pay for at this time: acupuncture, acupressure, aromatherapy/essential oils, art therapy or lessons, child life services, chiropractic care, craniosacral therapy, hippotherapy, fertility preservation, personal training, herbal supplements/naturopathy, meditation, music therapy or lessons, myofascial release, nutritional counseling, oncology massage, reflexology, Reiki, swimming/aquatic therapy, Tai chi/Qigong, therapeutic horseback riding, and yoga. Can you reimburse me or write me a check directly? We pay our practitioners directly for their services with your child so that you do not incur any out-of-pocket expenses for the integrative therapies that your child receives from a Lucy's Love Bus partnering practitioner. We cannot give money directly to families, but rather we set up a payment system directly with the practitioner(s) working with your child. We manage your child's money on our end, and keep you and the practitioner(s) updated as to how much funding remains for your child. We do not offer direct financial assistance or reimbursement; we must pay a provider directly by check or American Express and only for integrative therapies. Can my child's funds be used to buy goods or trips? No, with the exception of the purchase of essential oils and herbal supplements. We must be able to pay the provider or supplier directly. Our funding cannot be used for: trips/vacations, home/room remodels, toys/supplies, or assistance with acquiring a service animal. Can a sibling/parent/caregiver use some of the funding? Due to the high demand for our funds, we are only able to pay for services for the child who has been diagnosed with cancer. We are not able to award funding for services for family members/caregivers. If your child is treated at Tufts Floating Hospital for Children in Boston, Barbara Bush Children's Medical Center in Portland, or University of Vermont Children's Hospital in Burlington, group therapies offered at least twice a week through The Healing Room™ program are open to all participants, including family members and staff. (You can learn more on The Healing Room™ page or by talking with your social worker at these hospitals.) Please visit our Resources Page for other organizations that may offer relief to family members. Programs at The Sajni Center are open to siblings and immediate family members as well. Please visit our Event page to see upcoming programs; these programs are intended for children with cancer or life-threatening illness and their immediate family. Programs will specify if they are meant for children (siblings welcome at all programs) or adults, and any age minimum for participation. You will need an access code to register for events. How do you find practitioners to work with my child? Lucy's Love Bus has an extensive network of partnering practitioners that offer many modalities. We vet all of our practitioners for applicable licenses and certifications to ensure that your child is getting the best quality of care. If your child is not already working with a qualified practitioner for their desired therapy, we will first see if we have someone available in your area from our network that we can connect to your child immediately. Otherwise, we will research the best candidates in your area and give you some options to choose from before reaching out to possible new partnering practitioners for your child. We will vet them and have them complete our paperwork, and then sessions can be scheduled! We set up payment with practitioners, but all scheduling and coordinating of appointments/sessions goes directly between families and practitioners. What happens when my child's funding award runs out? We award funding in increments of $500, with most awards totaling $1,000. We keep track of the remaining funds your child has, and will keep both your family and your child's practitioner updated as to how much funding remains for your child. Families in New England can reapply for an additional $500 twelve months after the first date that funding was awarded, if the initial $1,000 has been exhausted; a special form will be required in order to reapply. We are always here for support, and you will always be a part of our Love Bus family. We also encourage you to check out our lists of additional resources here. I am a medical professional and would like to refer a family for services. Please use the form below, email Jackie at jackie@lucyslovebus.org, or call 978-764-4300 with any further questions you may have. Let us know if you still have a question!